On the evening of 17 July 2018, China’s party-state media reported on a meeting of the Standing Committee of the National People’s Congress in Beijing. Chaired by Li Zhanshu 栗戰書, a member of the ruling Politburo and formal head of the National People’s Congress, the meeting hailed Xi Jinping’s statement that ‘Every era has a narrative arc; people of every generation have a mission’ 一個時代有一個時代的主題，一代人有一代人的使命. The gathering then set to discuss the theme of the ‘Historical Mission, Historical Responsibility and Our Historical Duty’ 歷史使命、歷史責任和我們的歷史擔當. The meeting called for all Party members of the Standing Committee of the National People’s Congress to weaponise their thinking with Xi Jinping Thought, to redouble their efforts to internalise the ‘Four Awarenesses’ and the ‘Four Self-beliefs’. In this process they are to be self-motivated in remoulding themselves politically while strenuously abiding by the political discipline and political regulations governing the Party. They are to ensure the absolute authority of Party Central with Comrade Xi Jinping as its Core which Sets the Tone for All 一錘定音 and is the Ultimate Arbiter 定於一尊. The four-character set expression ‘Ultimate Arbiter’ 定於一尊 attracted particular attention since, although it has been part of Party parole for some time, and it has been employed by Xi Jinping a number of times in various contexts, commentators found it significant that now, to all intents and purposes, it was being used to reaffirm Xi’s prestige (see, for example, Lee Yee 李怡, The Ultimate Arbiter 定於一尊, 蘋果日報, 20 July 2018; and China Digital Times, 18 July 2018). People also noted the continued media absence of Wang Huning 王滬甯, the Communist Party’s preeminent ideologue, the chief architect of Xi Jinping Thought as well as what could be termed Xi’s ‘cult sans personality’. Such speculative tides and eddies will henceforth wash over Chinese life and the global media. As we noted in Deathwatch for a Chairman, the dark arts of China Watching abetted by a new era of Ximiotic Sinology will now be relevant until the eventual retirement, ouster or biological demise (or, for that matter, elimination) of the Core Communist in Beijing. To help readers interested in the tradition of what could be called commentary in confinement, as well as those who might appreciate China’s grand tradition of cultural and literary political conjecture, allegory and parable, we are introducing one of that country’s important twentieth-century essayists, Deng Tuo (鄧拓, 1912-1966). The historian Timothy Cheek is an internationally acknowledged expert on Deng Tuo’s life, writings and abiding significance (see his Propaganda and Culture in Mao’s China: Deng Tuo and the Intelligentsia, Oxford University Press, 1997). With Tim’s help, we will introduce more of Deng’s essays in China Heritage. For the moment, in tandem with previously published work like Mendacious, Hyperbolic & Fatuous — an ill wind from People’s Daily, we take Simon Leys (Pierre Ryckmans) as our initial guide into the world of Deng Tuo, a loyal Party scholar-bureaucrat who fatefully learned the consequences of having said the right thing at the wrong time. Deng Tuo reminded the intellectuals of their responsibilities and their mission. Their duty was to right wrongs, as the wandering knights [遊俠] used to do. They had to shout the truth aloud and “meet the tyranny of the wicked with indomitable resistance”, even at the risk of their lives; they had to remain attentive to the world around them, and politics had to remain their constant concern. Their studies and their teachings had to be opened to political commitment; in their writings, they had to learn every means possible of making the truth heard, directly or indirectly. From the time of Deng Tuo’s suicide in May 1966, China’s thinking people have faced this challenge in many different ways. Establishment intellectuals once more must deal with a dilemma that scholar-bureaucrats have confronted throughout Chinese history. Over the forty years China’s post-Maoist economic and social evolution, many outspoken writers and activists have paid a heavy price for their devotion to the truth. Now, confronted with a globalised Chinese authoritarianism and the rise of strong-man politics elsewhere, Western academics and intellectuals may also wish to consider Deng Tuo’s undeniable challenge. 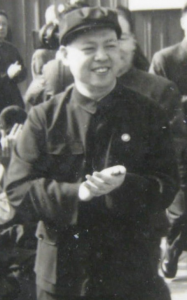 Deng Tuo belonged to the younger, more progressive-minded generation of Communist leaders: people who were as committed to revolutionary ideals as their older comrades, but who had benefited from a higher education and showed a broader, more urban-oriented and internationalist outlook. After 1949, their qualifications should have enabled them progressively to take over the Party. With their revolutionary credentials and their intellectual sophistication, they could have considerably eased China’s entry into the modern world. However, through the Cultural Revolution, Mao managed to wipe out early all of this small enlightened elite, thus inflicting upon the country a grievous harm whose ultimate consequences are still to be fully assessed. The son of a successful Mandarin from Fujian Province, Deng Tuo taught school for a time before he began his Party activity in the Shanxi-Chaha’er-Hebei guerrilla zone, where he was editor of a newspaper, Resistance News. After 1949 his political and journalistic career rose swiftly. By 1952 he had become editor-in-chief of the People’s Daily. In 1959, however, he had to relinquish his influential position; it was a political setback on the national scene, but it did not prevent his ascent inside the Peking municipality, where, under the protection of [Peking mayor] Peng Zhen 彭真, he bacame one of the secretaries of the municipal Party committee. As a member of the Academy of Sciences (department of philosophy and social sciences) and regular contributor to various newspapers and journals (Beijing Daily, Beijing Evening News, Guangming Daily, Frontline, Historical Research), he remained very active in the fields of culture, education, and journalism. In the spring of 1966, his influential paper column brought disaster upon him and his close associates, Wu Han 吳晗 and Liao Mosha 廖沫沙 [they were collectively known as the ‘Three-Family Village’ 三家村]. Unable to bear the severe persecution, Deng killed himself in May of that year. Wu Han, an accomplished historian and for many years vice-mayor of Peking, also committed suicide. Thirteen years later, both Deng and Wu were publicly exonerated. The disastrous column Deng wrote [using the nom de plume Ma Nancun 馬南邨] under the title “Evening Talks at Yanshan” was published in the Beijing Evening News in 1961-1962. It became tremendously popular among intellectuals. Foreign observers were puzzled: why should these modest little articles dealign with various historical literary anecdotes arouse such enthusiastic interest? The answer was provided in 1966, with the first stage of the Cultural Revolution. Violent attacks were launched against Deng Tuo as part of a broader offensive aimed at Peng Zhen and the Peking clique, which led to the downfall of Liu Shaoqi [the early champion of Mao Zedong Thought, formerly Mao’s successor and President of the People’s Republic] and most of the Central Party leadership. 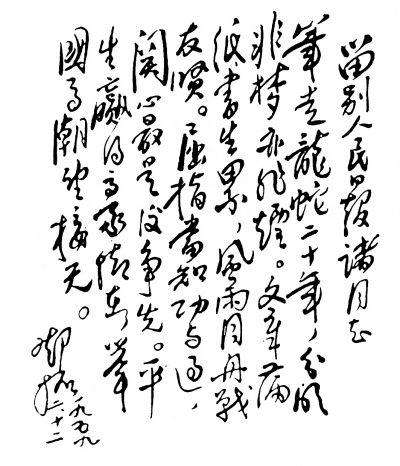 The attacks included a detailed exegesis of Deng’s writings, identifying the hidden meaning of each of his articles. Actually they had constituted so many parables, transparent to the initiates, which daringly criticized the person, style, and policies of Mao Zedong. When reading Deng Tuo, Westerners may feel that his short essays hardly reach beyond the level of commonplace and commonsense observations. However, in a totalitarian system, banality can become the last refuge of sanity and decency; to make commonsense observations requires the greatest courage, since it challenges directly the ideological dogma. Deng Tuo did it with unparalleled daring, wit, and elegance. In affirming that intellectuals owe their first unconditional allegiance not to the Party but to truth, in asserting the primacy of rationality and informed criticism over raw political power, he committed the ultimate sin, the unforgivable crime … he questioned the absolute authority of the Party. Chinese characters added. — Ed. 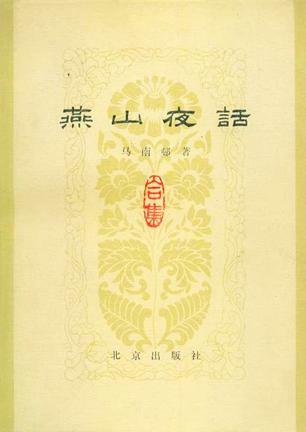 … Resorting to historical parables in order to criticise the present is a Chinese tradition which is as old as historiography itself (even the “Chronicle of Springs and Autumns”, which is attributed to Confucius, was read by the old commentators as a kind of coded message, with each word concealing scathing judgements on political morality); through centuries of autocracy and imperial censorship, Chinese scholars have had little more than this with which to challenge orthodoxy and make unconventional opinions heard. 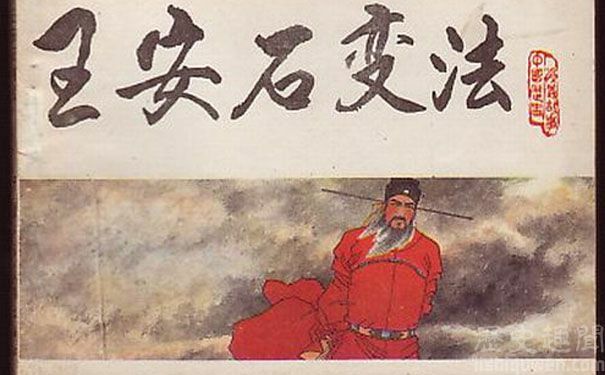 This form of parable, which is the traditional weapon of Chinese polemics, was used with a superior dexterity and verve in the political writings of Deng Tuo. From the beginning of 1961 until September 1962, Deng Tuo published a series of short articles in various Peking newspapers (Beijing Daily, Beijing Evening News, Guangming Daily and the periodical Frontline). Under the guise of moral fables and historical anecdotes (sometimes serious, sometimes humorous), literary and artistic commentaries and various other pieces, they present a devastating critique of Maoism. These articles deal with a wide range of issues, but certain broad themes can be distinguished. A plea for the rehabilitation of Peng Dehuai 彭德懷 [the Minister of Defense ousted in 1959 by Mao and denounced in a campaign led by Liu Shaoqi for his frank appraisal of the devastation of Communist Party’s Great Leap Forward policies], under the guise of sketches of various historical figures who had incurred the displeasure of the sovereign by attempting to alleviate the sufferings of the people. Attacks against the person and style of Mao: his taste for hollow slogans, his tendency to substitute words for reality, his thirst for personal glory, his vanity, his intolerance of criticism, his lack of realism, his inability to listen to the advice of competent people, his blind obstinacy. It is false that Mao is a “great man”. He is a “whining Zhuge Liang”, an amnesiac who forgets his own promises and goes back on his word; he should, as a matter of urgency, “keep quiet and take a rest”, or he will find that his psychologically unbalanced nature has turned to “wild insanity”. A criticism of the Maoist political line. Mao, with his subjective and arbitrary political line, resembles the emperors of former times surrounded by their little circle of corrupt eunuchs; his policies are worked out without any consideration for suggestions from the base, and he ignores and despises the opinion of the masses. Lacking specialised knowledge and practical experience, Mao pursues unrealistic chimeras; he substitutes trickery for real intelligence, and practices despotism which is based on violence and coercion, in defiance of the principles of social and political morality. A criticism of the “Great Leap Forward”. This was carried through without any consideration for the natural limits of human strength, and imposed too heavy a burden on the peasants. Mao’s dream of a fantastic multiplication of a modest initial capital merely led to the evaporation of this capital; illusion was substituted for reality as the point of departure, and an unrealistic “moral factor” was substituted for objective material conditions, so that the whole enterprise came up against a wall of realities. On the positive side, Deng Tuo reminded the intellectuals of their responsibilities and their mission. Their duty was to right wrongs, as the wandering knights [遊俠] used to do. They had to shout the truth aloud and “meet the tyranny of the wicked with indomitable resistance”, even at the risk of their lives; they had to remain attentive to the world around them, and politics had to remain their constant concern. Their studies and their teachings had to be opened to political commitment; in their writings, they had to learn every means possible of making the truth heard, directly or indirectly. Wang Anshi himself failed to recognize Li Bo’s poetry, and yet he turned to ridicule others, only succeeding in exposing himself to ridicule. 可見王安石自己並不熟識李太白的詩句，輕率地批評別人，就不免鬧笑話。他看不起別人，竟至隨便給別人亂作蓋棺定論，真真豈有此理! The Song dynasty statesman’s draconian reforms remain controversial. Despite the devastation of rural life during his rule, Wang found favour with Mao Zedong. Wang Anshi’s Reforms, comic book cover, n.d.
the Chinese original has been added — Ed.